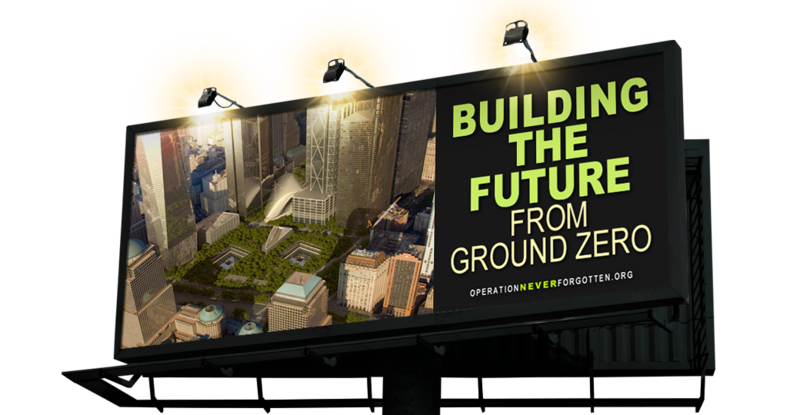 Bridging the Gap Between Military & Civilian Worlds. Honoring Fallen Heroes. Empowering Wounded Vets. Supporting Caregivers. 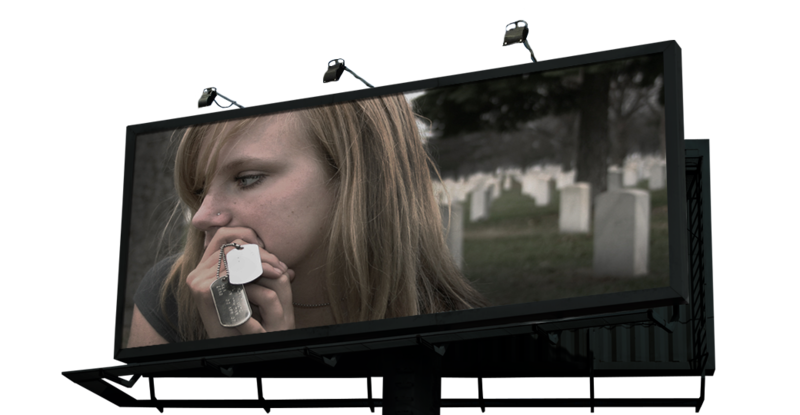 Preventing Veteran Suicide. 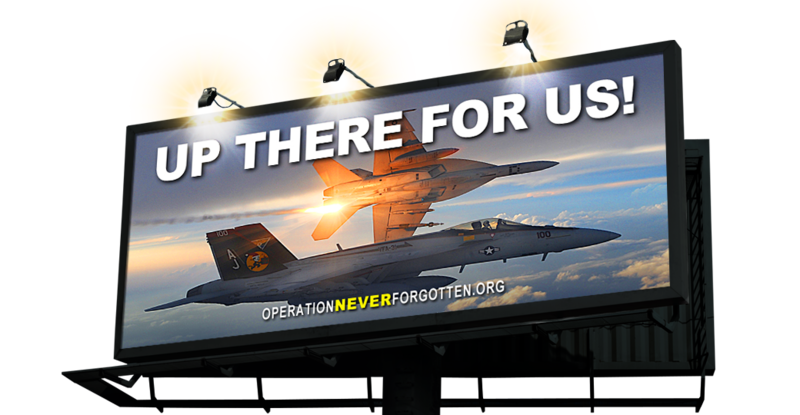 Operation Never Forgotten (ONF) is a national non-profit volunteer organization supporting health and well-being of post-9/11 physically and/or invisibly wounded veterans, caregivers, gold star families and deployed troops. 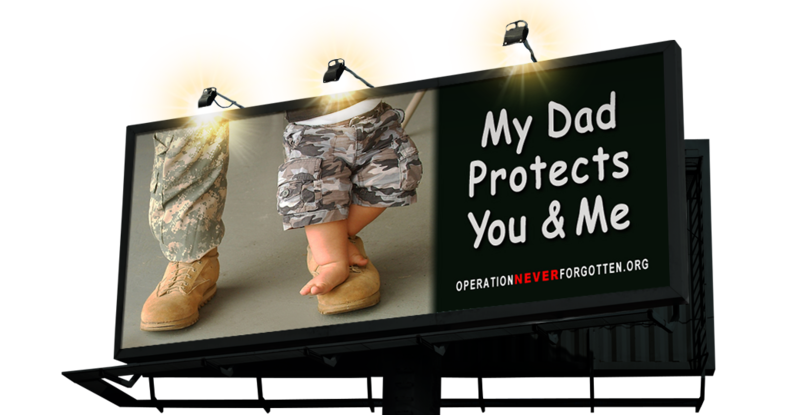 ONF creates awareness campaigns to remind the American public of the value of embracing the veteran community. 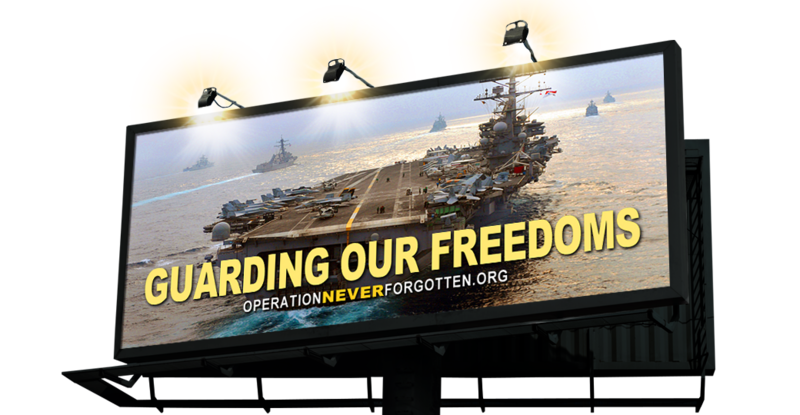 ONF is dedicated in helping to rebuild the lives for those who have sacrificed so greatly to defend our freedoms. ONF welcomes Post-9/11 veterans and caregivers to transition workshops. 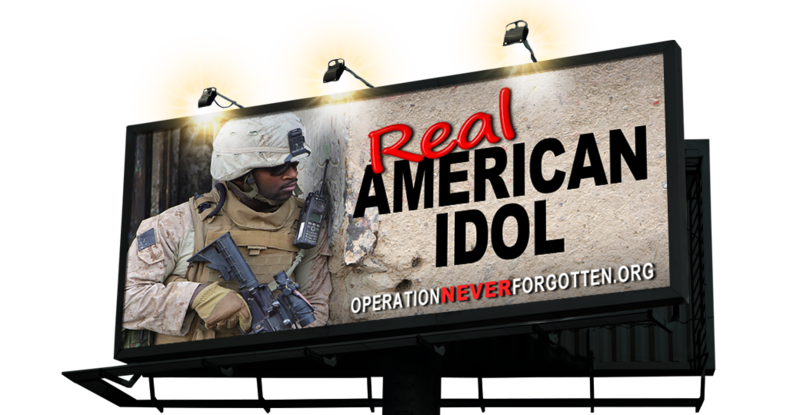 This program is managed by veterans, for veterans struggling in life after war. Veterans and/or caregivers must apply! 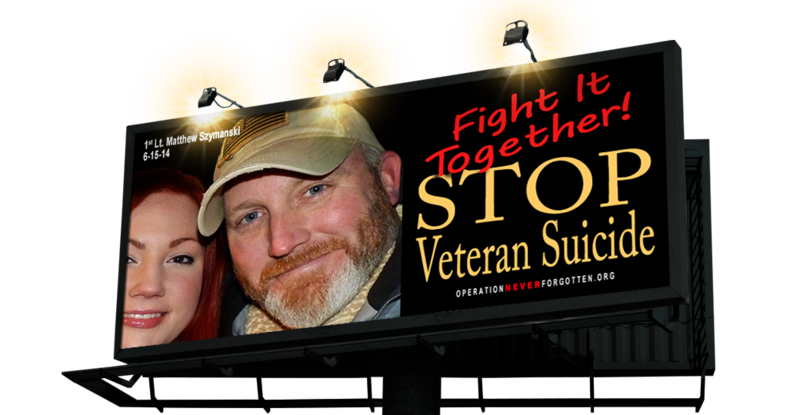 Join the Fight for Veteran Suicide Prevention! Share this video below to help bring awareness to your community. Learn more about what you can do! Thank you Coffee Boys Productions for your hard work on our most recent TV public service announcement! Proud of No Paid Administration! 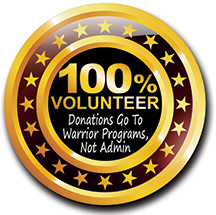 ONF has continued for over 11 years as a 100% volunteer organization. ONF staff and administration is proud of never taking salaries or compensation in-order to maximize our programs. 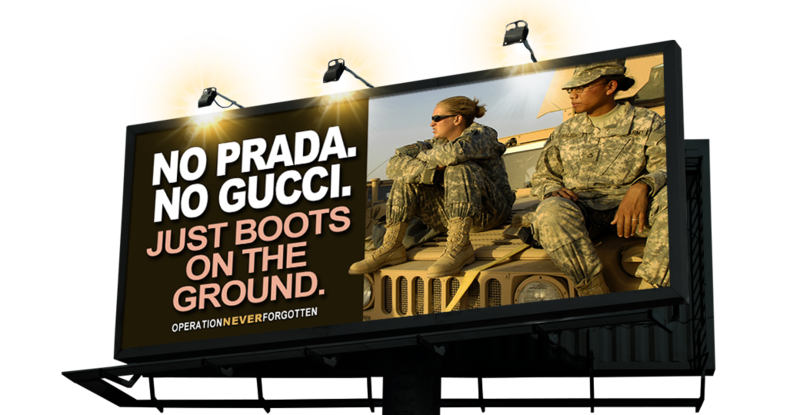 Our compensation is giving veterans the chance to lead better lives. When it becomes more difficult for veterans to come home than to go to war… As more veterans struggle with becoming civilians again… When military families continue to crumble after active duty… When the stigma associated with invisible wounds prevents veterans from asking for help… When veteran suicide is on the rise… It is time for your unwavering support! ONF has been a tax-deductible, nonprofit 501(c)(3) organization achieving its mission for over 10 years: Federal EIN #450579363. Donate Now! 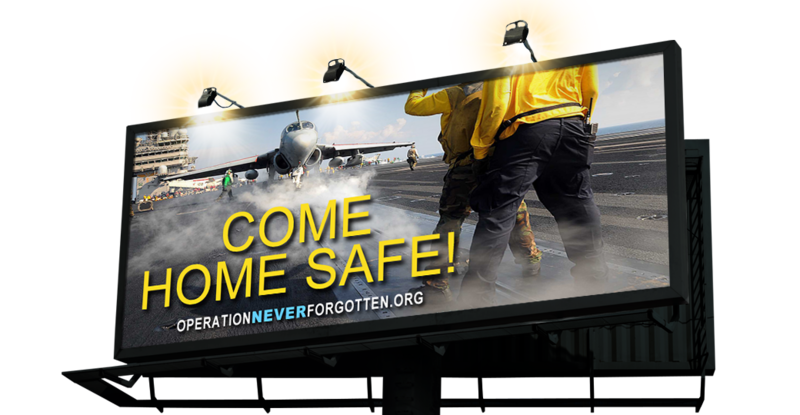 Dare a Civilian for a Great Cause! 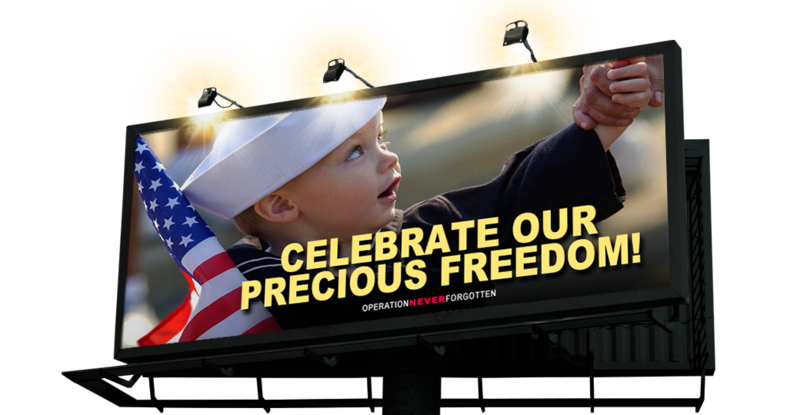 The WITHOUT Challenge is in appreciation for all those who have served and are still serving to protect our freedoms. 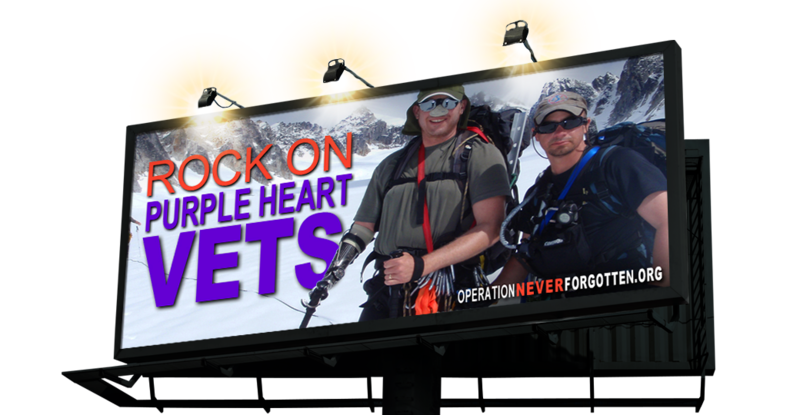 This awareness effort raises funds for ONF veteran transition programs. Here is a fun way to show your gratitude with friends! See how to choose a 24-hour challenge… any time… any day! 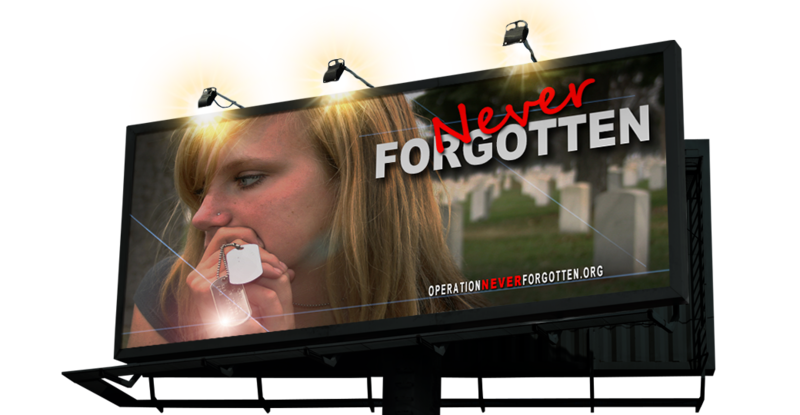 AT TOP SLIDESHOW IMAGES: A sister holding dog tags at her brother’s cemetery was photographed and donated by Gold Star Mother, Gwen Olsen; A handful of outdoor billboards from hundreds created by ONF. OTHER PHOTOS: Cattle ranch vacation winner Ken Wilson with wife Michelle/veteran caregiver – Trip donated by Wiley Ranch and photo by Mary Peters; Marines paying tribute to their fallen brother. 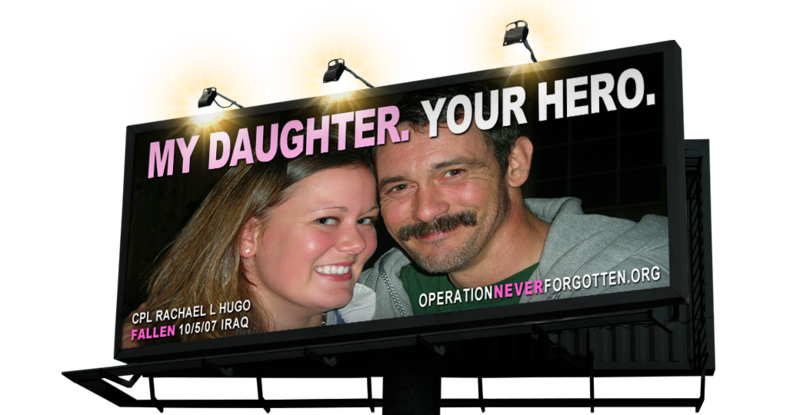 More than half of the 2.6 million courageous men and women who served in Operation Enduring Freedom/Operation Iraqi Freedom, (OEF/OIF) struggle with physical or invisible injuries. 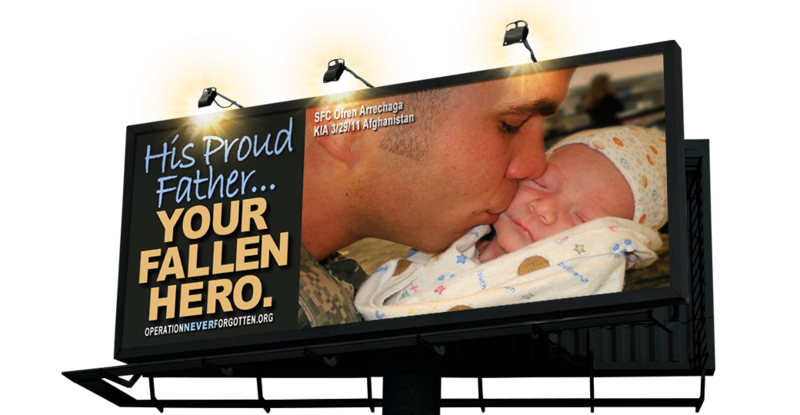 More than 8,000 heroes have fallen, having paid the ultimate sacrifice. 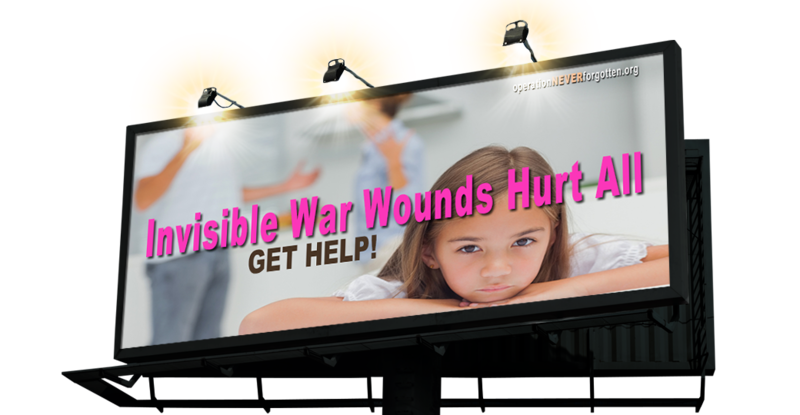 Substance abuse, depression, and domestic violence plague veterans with invisible and physical wounds. 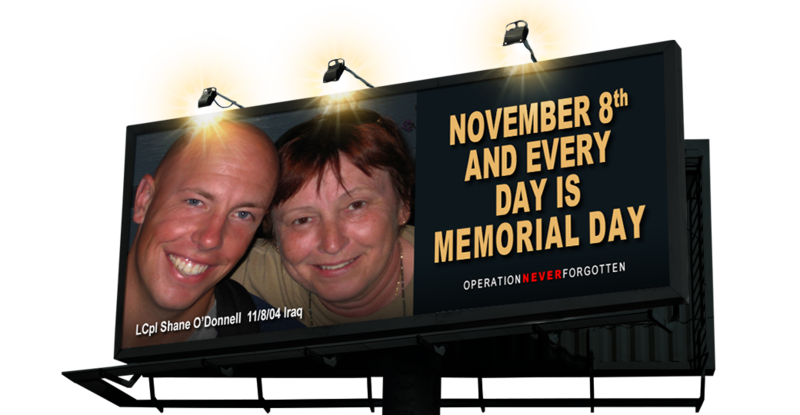 OEF/OIF warriors sadly contribute to the 22 veteran suicides daily. 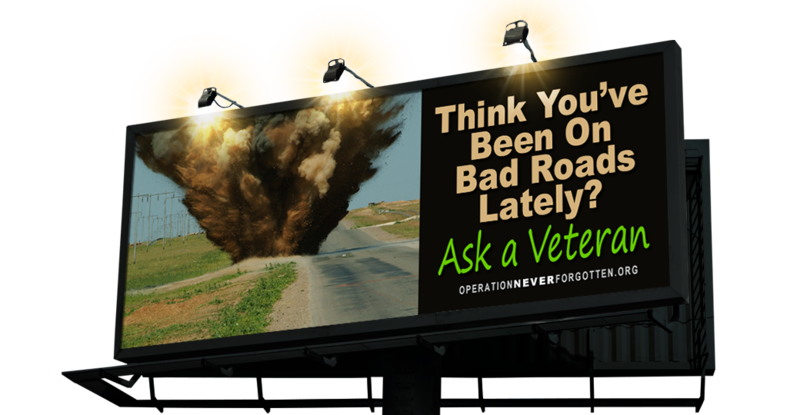 According to a survey taken by "The Washington Post," almost 90 percent of OEF/OIF veterans, knowing everything they know now… all the danger, separation from family, injuries and civilian world disconnect… said they would do it again. 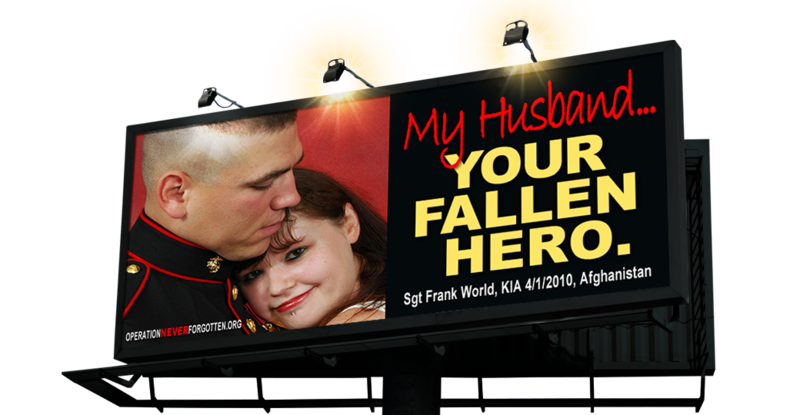 Our warriors are highly trained and equipped for war but not for what to expect when they return home. In spite of the pain, remains pride. 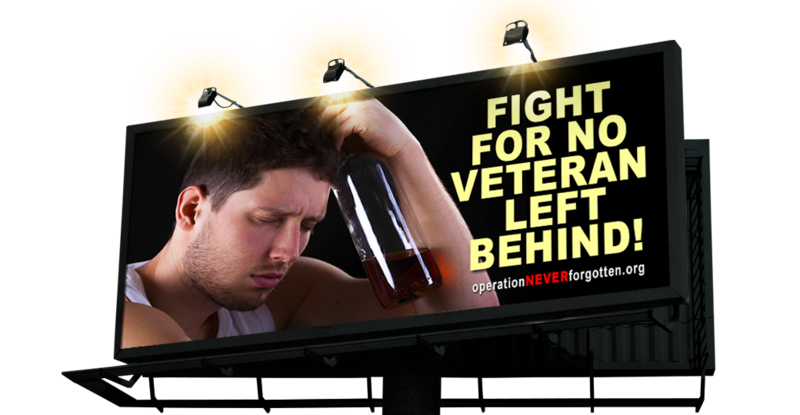 Along with the pride, remains the stigma or humiliation of invisible mental injury which makes it difficult to reach veterans in need before it could be too late.